WASHINGTON, March 21 (Sputnik) – The Federal Aviation Administration (FAA) has said in a statement that US aerospace company Boeing is developing a new service bulletin for the 737 Max aircraft software and flight crew training related to it. "Boeing is developing a service bulletin that would specify the installation of new flight control computer operational program software. Boeing has also developed flight crew training related to this software", the statement said Wednesday as quoted by CNBC. Boeing has seen two similar crashes of 737 MAX in the last half year. Five months after an Indonesian Lion Air Boeing 737 MAX plunged into the Java Sea and claimed the lives of 189 people, another such plane, belonging to Ethiopian Airlines, crashed, killing 157 people. Both accidents took place mere minutes after the planes took off. 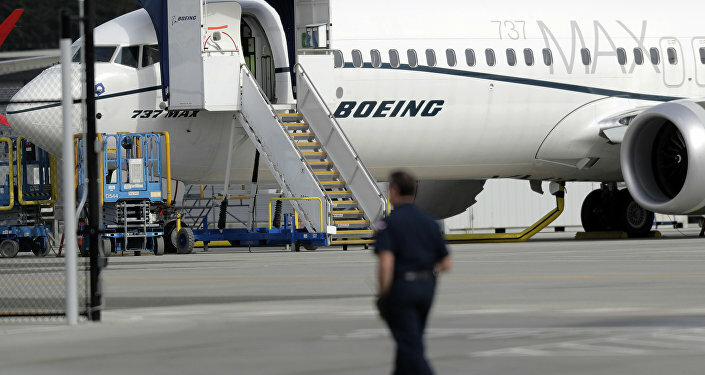 According to previous media reports after the crash, the US-based manufacturer had said that its Manoeuvering Characteristics Augmentation System (MCAS) — the feature installed on the 737 MAX series of passenger aircraft to prevent stalls, low-speed, and nose-up flight — was in the final stages of being updating.